Located off the coast of West Ireland, just miles from Galway Bay, Clare County and the Cliffs of Moher, the Aran Islands are a rugged yet spectacular group of islands that are both desolate yet incredible beautiful simultaneously. The three islands of Inishmór (meaning 'Big Island'), Inishmaan ('Middle Island') and Inisheer ('Eastern Island') extend from the limestone escarpment of Clare Burren and offer jagged cliffs, pounding surf, lush vegetation, ancient forts and some of the oldest archaeological remains in Ireland. Popular with both day trippers and visitors who wish to stay a little longer, the Aran Islands are deceptively close to the mainland despite how far they may seem. In fact just 40 minutes on the ferry will see you arriving at the Aran Islands. The ancient forts of Dún Aengus and Dún Chonchúir are some of Ireland’s oldest archaeological remains while a maze of stone walls run for a total of 1600km across all three of the islands. Visitors can also see the remains of early drystone huts resembling beehives or igloos that date back to the early Christian period and are known as clocháns. 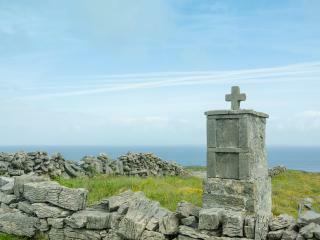 Although all three Aran Islands seem equal in appearance and distance, each has its own distinct personality. Inishmór or the 'Big Island' is unsurprisingly the largest of the three islands and is most easily accessed from Galway. Home to a great range of restaurants and pubs, the lively atmosphere means it is also the busiest of the three islands and is home to some of the country’s most impressive and important archaeological sites. 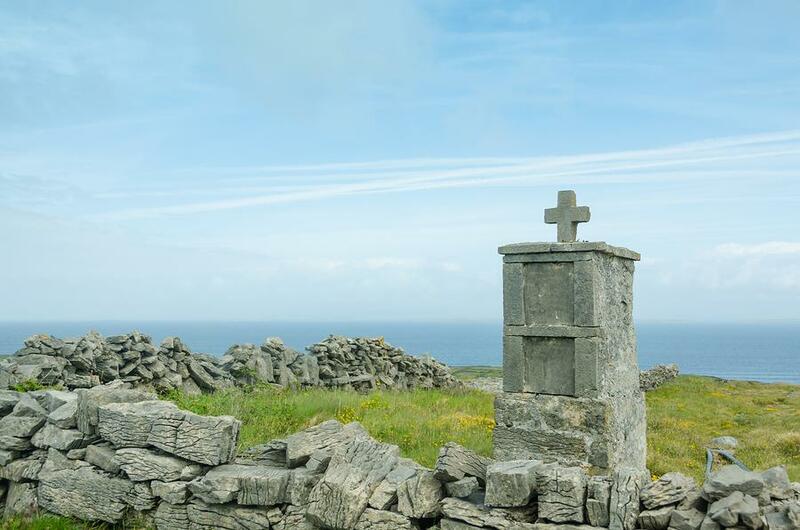 Inishmaan or the 'Middle Island' is less frequented by tourists yet is well worth a visit as the age-old traditions here have been preserved and the rocky vistas and sense of solitude offer a charming timelessness. Inisheer or the 'Eastern Island' is the smallest of the three islands is most easily accessed from Doolin during the summer months and Galway year round and offers a wonderful combination of traditional culture, ancient cites, relaxed nightlife and interesting walks.